When selling subscription based memberships you may want to protect your intellectual property by restricting your customers access to parts of a training plan. 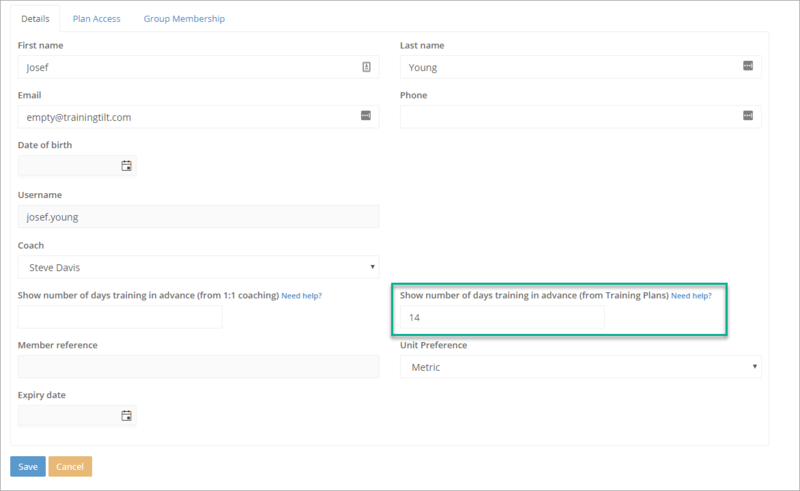 You can now specify a maximum number of days to show of a training plan to customers on certain membership plans. 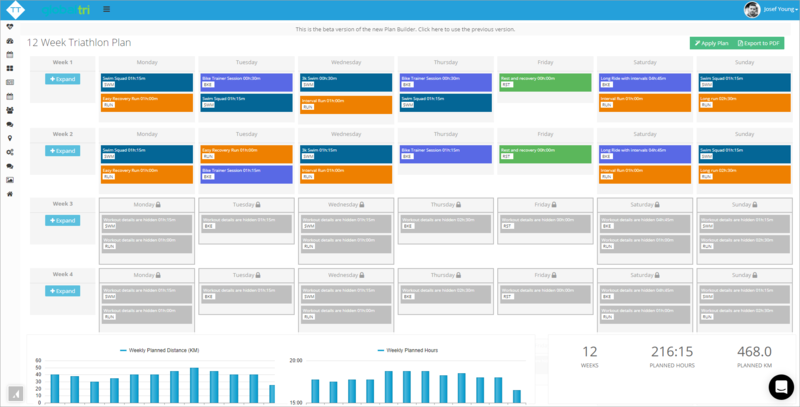 You can configure the maximum number of days to show from the "Advanced" tab of a membership plan. When a customer signs up to that membership plan that value will be applied to their account. You can also set this manually on individual athlete accounts by editing the athletes account from the members/athletes list. Important Note: If you are also using the seperate "Show number of days in advance" for your one on one coaching athletes this new setting will override that setting and it will be ignored. This goes for both the global setting and the athlete specific setting. 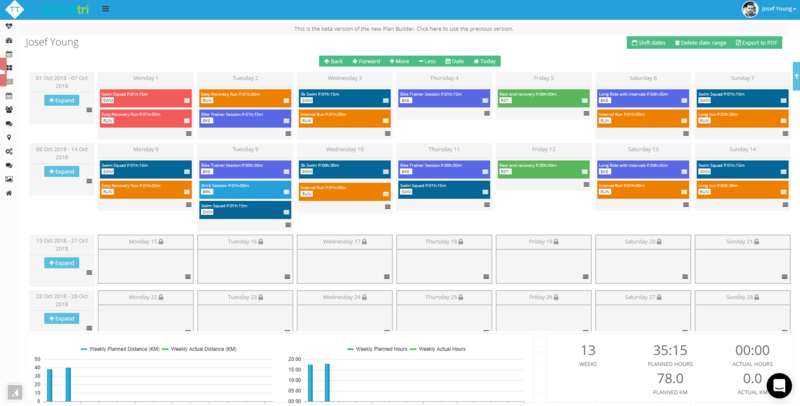 Now when athletes view any of the template plans they have access too they will only be able to see the number of configured days worth of training. The workouts will still show but the detail (name, and description) will be hidden. The time and type will still be visible so that the athlete can see the overall nature of the program but not the detail needed to execute it. If the value is set to 14 days then the athlete will only ever be able to see the details of the first 14 days of the Training Plan. Once the training plan has been applied to the calendar the 14 day period still applies but will begin from today's date so that athletes will always be able to see up to 14 days of training in advance. On the calendar view the workouts will not show at all and will be completely hidden until the fall within the 14 day period. The athlete will have a clear indicator of which days may contain hidden workouts. This is the case for any workouts applied from a Training Plan by the athlete or a coach. Any workouts created manually by the coach or athlete however will not be hidden. This setting only applies to workouts that were applied as part of a training plan. Each day that may have hidden workouts is marked with a lock and when the athlete hovers over the lock a message will appear indicating how many days that need to pass before the workouts will be revealed.